How to realize the Srimad Bhagavatam? Today we are reading from Srimad Bhagavatam, Canto 10, Chapter 4 entitled ‘The Atrocities of King Kamsa’, text 21. This verse, like so many in the Srimad Bhagavatam, has many layers of perceptions to learn from. Srimad Bhagavatam is a literary incarnation of Krishna. When Krishna left this world, he descended in the form of the Srimad Bhagavatam to give light in the darkness of this age of Kali. knowledge. We cannot digest food without hunger and similarly according to how we are very eager, according to how we see that this knowledge is essential to our lives, we can really digest it and understand it. Parikshit Maharaj is cursed to die in seven days. He was holding onto every single syllable of every word with the desire to learn, with the desire to connect to Krishna. Srila Prabhupada told us, “He knew for sure he had seven days, but there is not a person in this world who knows that they have seven minutes to live.” That is the consciousness that is suitable to understand the Srimad Bhagavatam, because the real understanding is not simply intellectual. Jnana-vijnana-trptatm. The real joy of hearing is when there is realization. Realization does not come by our intellectual capacity or by our pious activities or even by our austerities. Realization only comes by the grace of Krishna. Sat mahatsevaya viprah punyatirtha nesevanat. In the Srimad Bhagavatam, in the text itself it tells – to actually get the real taste for hearing, one must have this attitude of sincerely serving the great souls. When Krishna sees that we actually have adopted this type of eagerness to hear, then by his grace he reveals the truths of the Srimad Bhagavatam, and cleanses our heart, and actually gives us realization. Srila Prabhupada writes that pure devotional service is very rare. Why? Because pure devotional service is so powerful that Krishna becomes subordinate to that pure devotion of his devotee. So he does not give it easy. But then, Srila Prabhupada explains, “For one who is sincere, serious and is without ulterior motives, Krishna easily gives pure devotional service.” This is important. Pure devotional service cannot be gotten; it can only be given by Krishna, samsiddhir hari toshanam, when Krishna is pleased with us. Srila Prabhupada, in his purports, has taken the essence of the realizations of all the great acharyas in history, of the various Vaishnava Sampradyas, along with his own ecstatic love and has given us Bhaktivedanta Purports accordingly. 22 Responses to "How to realize the Srimad Bhagavatam?" 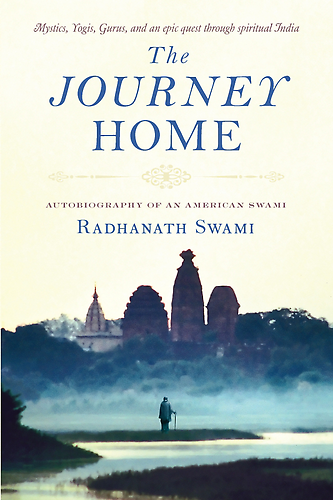 Srimad Bhagvatam is an excellent reading…..it should be read from Book 1 and listening to explanations given Radhanath Swami, just makes it so interesting…. From Parikshit Maharaj’s life, we can learn how we should hear Srimad Bhagvatam. We cannot emulate him but at least we can hear attentively from great vaishnavas who have realized the Supreme Lord. So here is the secret to get pure devotional service easily. “Pure Devotional service cannot be gotten, it can only be given by Krishna” amazing realisation. I think this articles changes the total paradigm of studying Srimad Bhagavatam. 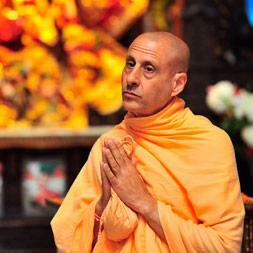 Thank you HH Radhanath Swami Maharaj. Srimad Bhagvatam is the literary incarnation of Krsna. We have the good fortune and opportunity that this scripture is available o us to read, digest its teachings and purify our lives. Life is unpredictable for all living entity in this world but wat a solution he gives for unpredictable life. Amazing article.” to actually get real taste for hearing one must have attitude of sincerely serving great soul. ” sincerity of our heart while rendering any service is really important. Thank you very much. “He knew for sure he had seven days, but there is not a person in this world who knows that they have seven minutes to live.” – This point is so inspiring, gives so much sense of urgency to do something useful to perfect this life. Nice point by Radhanath Swami. One should feel urgency to hear then we develop the desire for spirituality. “For one who is sincere, serious and is without ulterior motives, Krishna easily gives pure devotional service.” This is the essence and so very true. Thank you very much. 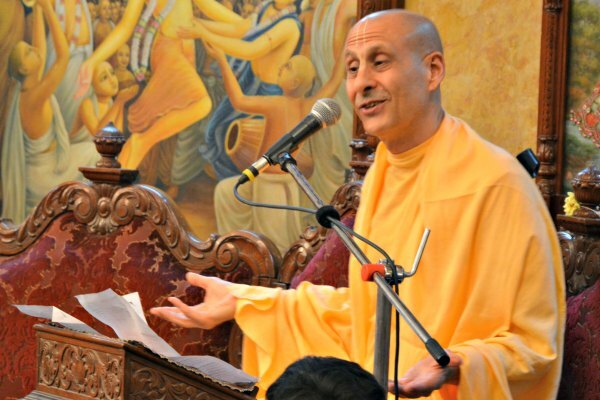 Thanks for sharing this wonderful article by HH Radhanath Swami Maharaj. Excellent article on what should our mood be while reading/listening to Bhagwatam! Thank you for sharing! Thank you very much for sharing such nice article.